They are coming! The champion reveal KINDRED, THE ETERNAL HUNTERS for is up, including a look at our new duo's abilities, splash art, gameplay, and more! Continue reading for more information on our "marksman designed for a life in the jungle"! "We’re almost ready to breathe life into League’s next champion, a marksman designed for a life in the jungle. Kindred prowls through camps, marking enemy champions for death and permanently growing in strength if they’re able to carry out the promised sentence. But just as Kindred brings death, so can they delay it. Should their allies meet deadly force, Lamb - one of Kindred’s two spirits - can create a large blessed zone that, for a few valuable seconds, denies the ever-creeping and inevitable clutches of death. Lamb marks an enemy champion - anywhere on the map - for death. After a delay, the mark activates - if Kindred kills them, or assists in their death, they gains a permanent stackable bonus to their basic attacks. In addition to Lamb choosing an enemy champion for the Mark of the Kindred, Wolf automatically hungers for large enemy jungle monsters from time to time. All champions can see targets that are marked for death. 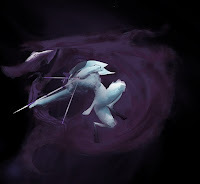 Kindred dashes in a target direction before firing at up to three nearby enemies. Passive: Kindred builds stacks of Hunter’s Vigor as they move around. Once fully stacked, Kindred’s next basic attack steals a flat amount of health. Active: Wolf temporarily splits from Lamb, creating a large spirit zone around him and attacking whoever Lamb attacks, or his closest enemy. Lamb can cast Dance of Arrows with a greatly reduced cooldown while inside Wolf's Frenzy. 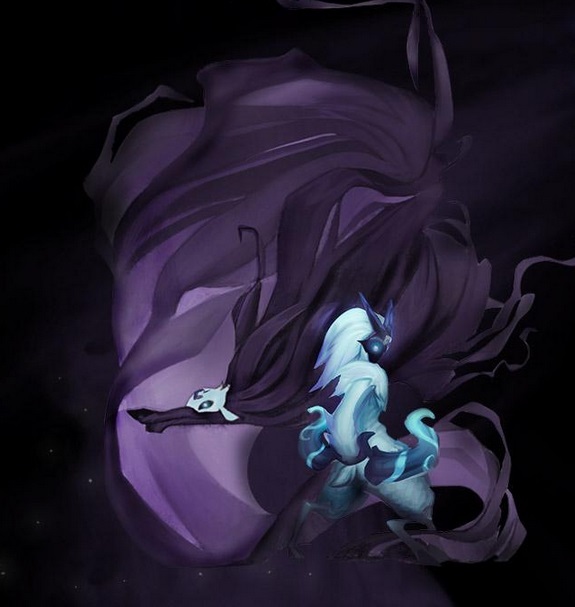 Kindred initially slows a targeted enemy. If they’re then able to attack their crippled target three times in quick succession, the target suffers a burst of percent max health damage. Kindred creates a large but temporary zone beneath itself or a targeted ally. While active, Lamb's Respite prevents ALL units within its boundaries from dropping below critical levels of health. Finally, Lamb's Respite applies a flat heal to all champions still inside as it ends. 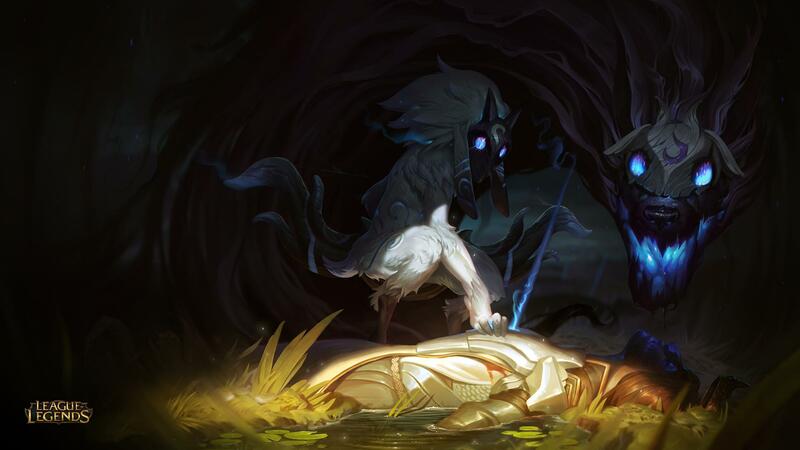 Kindred makes short work of most jungle camps thanks to Wolf's Frenzy, which gives the twin spirits plenty of supporting damage as they chip away with their basic attacks. Crucially, by greatly reducing Dance of Arrows’ cooldown, Wolf's Frenzy allows Lamb to constantly dart around the camp all while it whittles down multiple targets. Their movement isn’t just for show, though - repeated leaps with Dance of Arrows quickly builds up Wolf's Frenzy’s passive, which, in turn, tops up their health as they head from camp to camp. Kindred might be a fragile champion, but by keeping on the move and attacking whenever their passive is ready, they’ll stay healthy enough to continue their hunt. Larger monsters prove the biggest challenge, and that’s where Kindred can turn to Mounting Dread. The ability is too mana-hungry to use on small monsters, but by applying it to hard-hitting and tanky beasts, Kindred can kite its targets a little easier and deal a chunk of percent max health damage once the ability hits max stacks. And once Kindred has purged their jungle, they’ll be ready to start hunting bigger prey. Mark of the Kindred is a powerful tool, and not just for the buff it grants Kindred when they butcher a marked target. It has immense psychological value, too: knowing that they’ve been marked for death may force an enemy to play more passively, pulling back from their pushed lane for fear of an approaching gank. 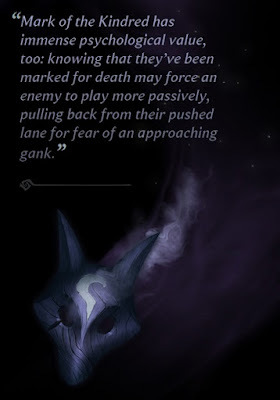 But marking prey doesn’t force Kindred to their lane; the mark’s global range means they can mark the enemy team’s mid for death before ganking top, for example. They won’t get a permanent boost, sure, but Kindred’s time is sometimes better spent helping allies than scrambling to kill targets who know they’re being hunted. But when Kindred sets it sights on a target, how does it actually hunt? Mounting Dread provides a solid start, slowing their enemy as they close in to create a well-positioned Wolf's Frenzy. Once the lair’s live, Kindred’s all set to whittle their prey down with Dance of Arrows and basic attacks. But while Lamb and Wolf hit hard, they lack traditional hard crowd control effects, making them most effective when they gank wounded targets or attack alongside allies who can keep the enemy locked down. Kindred should always keep an eye on the enemy team’s jungle, too, because while the twin beasts choose the champions they apply Mark of the Kindred to, the enemy jungle camps that suffer the same mark are picked at random. Kindred doesn’t gain vision of marked targets, but they do know that, by being marked, the camp at least lives. This is where Kindred uses their smarts: knowledge of live camps tell it where the enemy jungler is not, or at least where they may be headed, giving them the chance to plan their ganks or jungle routes accordingly. The mark’s also visible to the enemy jungler, too, who suddenly has to decide between killing off the marked camp to deny Kindred passive stats, or ganking. This isn’t an easy choice: choosing the latter, particularly in a lane well away from the marked camp, pretty much provides Kindred with a free invitation for extra stats. Otherwise, the enemy jungler can simply ward the marked buff and stay close enough to turn the tables on Kindred should they decide to kill the camp. As nimble and powerful as they are, Kindred still struggles against a number of strong dueling junglers. Lamb's Respite, when timed or used correctly, is an absolutely momentous ability. It can stall epic monster kills - even bait out the enemy team’s smite - and, when Kindred’s team is on the wrong end of a beating, prolong their lives as they bring the enemy team to the same brink. The ability makes for a perfect tower-diving tool, too, only safeguarding the lives of the living, so offering no protection to the game’s towers. Even against unfavourable odds, Kindred’s team can often claim objectives by casting Lamb's Respite before pummelling the enemy team’s structures down. The ability’s heal gives them options, too: keeping them on the offensive if the enemy team dares a base race, or propping them up for long enough to finish off any enemy stragglers who attempted to save their doomed defenses. 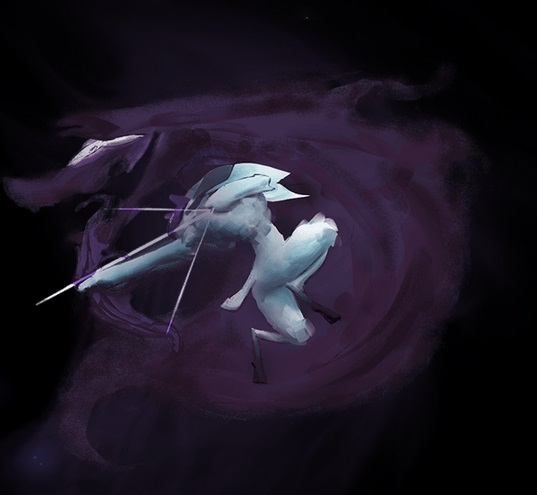 In full-scale fights, Kindred fights best behind their team’s frontline, pouncing around inside Wolf's Frenzy with as many Dance of Arrows attacks as possible, while throwing Mounting Dread on frontline enemies who manage to break through to their team’s delicate innards. If their team’s winning the fight, Kindred is best off saving Lamb's Respite to make sure their team’s heaviest damage dealers survive incoming damage. 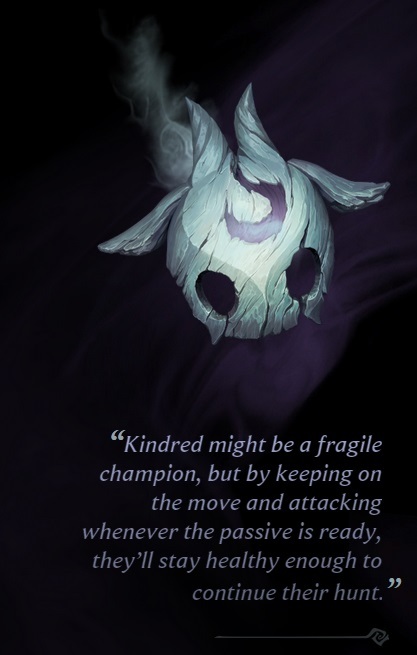 If they’re losing, on the other hand, Kindred can use Lamb's Respite to safeguard their entire team. The precious few seconds of immortality will help balance the playing field, leaving both team’s key players teetering on the precipice. And once the ult ends, the heal granted by Lamb's Respite will soon give way under the brutal few seconds that inevitably follow. Aside from even more solid peel, Gragas provides plenty of knockups and slows to keep Kindred’s enemies in range of Wolf's Frenzy. Even better, Gragas can use Explosive Cask to knock enemies out of Lamb's Respite, denying them their temporal invulnerability and, with smart timing, even the ability’s heal. Kindred may jive with the jungle, but they’re still troubled by the same squishiness that perturbs traditional marksmen and need suitably beefy and peely allies to keep them safe. Enter Alistar. The big blue cow’s a perfect yin to Kindred’s yang, pulverizing and headbutting approaching enemies while The Eternal Hunters melts their enemies from range. Utility is the name of the game when Ashe and Kindred take to the rift on the same team. With oodles of crowd control, the two can cover up for each others’ mistakes, misplays, and bad positioning. Enchanted Crystal Arrow is always a great initiation and lockdown tool, giving Kindred the time they need to set up Wolf's Frenzy and get to killing. Finally, whenever Ashe gets herself in trouble, Kindred can keep her alive in fights with well-timed casts of Lamb's Respite. Lee Sin, one of League’s strongest counter-junglers, has all the tools he needs to make Kindred’s life difficult. His duelling power will dissuade all but the strongest Kindred players from venturing into his jungle to clear Marked camps. But even if the Eternal Hunters decide to hunker down in their own jungle, Lee Sin is still both mobile and powerful enough to hunt the twin beasts down and claim a kill of his own. He’ll happily boot Kindred out of their own ult, too. In teamfights, Kindred plays the role of a backline squishy, and as such relies on their team’s frontline to keep them safe from approaching fighters and tanks. Irelia presents a unique challenge, though: with her inherent tenacity, the Will of the Blades is relatively immune to peel, and will dive hard to claim her kills. Cass copes well against Kindred simply because she deals devastating amounts of both sustained and burst damage. This is, of course, most apparent during Lamb's Respite. Cassiopeia will more than happily sit within the ult, sapping Kindred and their team of health with her poisons and Twin Fang, before using Petrifying Gaze to slaughter Kindred’s grouped allies. We’ll be back in a few days with some behind the scenes stories of Kindred’s creation. In the meantime, let us know your thoughts on League’s next champ!"